Monika Volkmar took her frustration of fitting in, to the freedom of standing out, by taking dance to a level beyond performing in this session of The DancePreneuring Studio. Step to Success: Just as steps are necessary in a dance, there are steps to success in your life and business. In this segment, we discuss a step in the form of an app, a book, or a concept that will help you move forward. I use screen capture via my MacBook Pro with the Command + Shift + 4 keys and then drag out the area that I need to capture, as well as a tool called Snagit by Techsmith. It’s nice to be able to demonstrate visually for those who need to see things as opposed to reading text. 1. Study different industries to see what you can implement in yours. 2. Schedule rest times, which are very important in physical cross training, and just as important in your business. 3. Figure out something in your business you can change, test and see what happens. For example, changing a button color on your website where people subscribe. Feature Presentation: I love that my guest, Monika Volkmar, emphasizes the aspect of dance being human first, and then dance second. 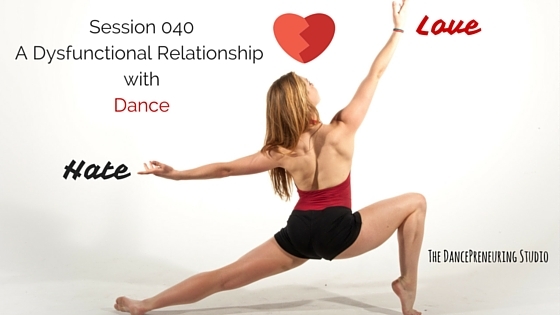 We talk about injury prevention and the importance of self-love as she takes us through her journey of her love/hate relationship with dance to a successful business teaching others to overcome and prevent dance injuries.